Bad news for Microsoft, whose Cortana assistant was said to eventually power the digital nanny. Mattel disclosed Thursday that it has cancelled its Mattel Aristotle, a Microsoft-powered smart speaker that was designed as a sort of digital nanny. In the end, the fact that the Aristotle could stand in for a normal, flesh-and-blood parent led government officials to ask Mattel to not bring the toy to market, according to a report by The Washington Post. Sen. Edward J. Markey (D-Mass.) and Rep. Joe Barton (R-Tex.) were concerned about the toy's effect on privacy, specifically the children in its care. For its part, Mattel told the Post that it had decided to cancel the toy in July, after its new chief technology officer had canned plans for the product "as part of an ongoing effort to deliver the best possible connected-product experience to the consumer." 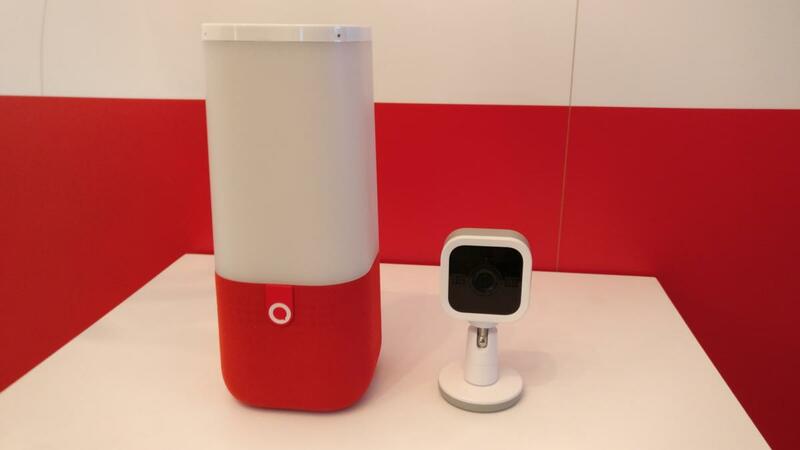 According to a demonstration at the Consumer Electronics Show this past January, Aristotle consisted of two components: a webcam/baby monitor, and a cylindrical speaker that chatted back and forth with kids. Evoking the design of Google Home, the speaker also had colored LEDs embedded deep within. These lights could perform night-light duties as well as change colors in response to questions, or as parts of games. Perhaps more importantly, the Aristotle used Microsoft's Cognitive Services, an AI technology that Mattel said would eventually be replaced with its Cortana digital assistant. It was a fairly high-profile win for Microsoft, which has said that it is trying to build Cortana into a range of products and services. So far, though, its only Cortana-powered product appears to be the Harman Kardon Invoke, a smart speaker due this fall. Meanwhile, Google and Amazon have announced several products powered by the Google Assistant and Amazon Alexa Voice service respectively, including smart speakers such as the new Google Home Mini. Amazon has partnered with a range of other manufacturers to embed Alexa into their products as well, including, most recently, Sonos and its new Sonos One speaker. Why this matters: Amazon, Apple, Google, and Microsoft would have you believe that smart speakers are increasingly necessary as digital assistants around the home. But where kids are concerned, legislators and parents alike are increasingly suspicious of toys that interact and learn from children. The Post story notes that Mattel cancelled Hello Barbie, an interactive Barbie doll that listened to and learned from its owners. And, of course, there's the perpetual concerns about webcam hacking and other ways of monitoring your children that can be twisted for other purposes.